This week marked 50 years from when Sir Winston Churchill died and today marks 50 years from his state funeral through London. 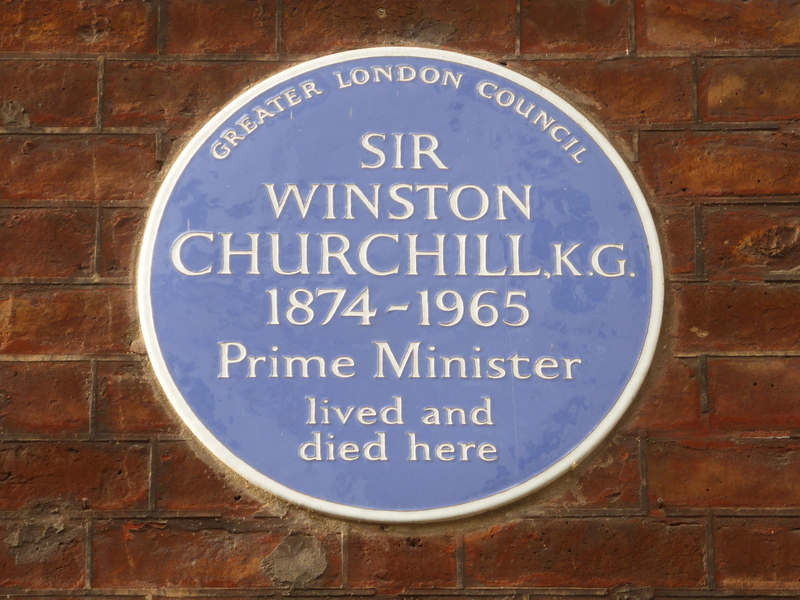 Churchill is most famous as Prime Minister of the United Kingdom from 1940-1945. He also served as Prime Minister again from 1951-1955. Prior these roles in his life he had also served in the British Army in India, The Boer War and on the Western Front during the First World War and later in his life he would win a Nobel Prize for literature. His state funeral was authorized by Queen Elizabeth II, the first for a non-royal since Gladstone in 1898 and up until this time it was the largest state funeral in the world. Queen Elizabeth became the first monarch to ever attend the funeral of a commoner. Representatives from 112 nations were in attendance including five monarchs, six heads of state and sixteen prime ministers. .Figures for the number of people that watched it on tv in Europe reached 350 million people. By decree of the Queen his body lay in state at Westminster Hall for three days and the state funeral service took place at St. Pauls. From here his coffin was taken to Tower Pier and the family’s private funeral commenced. His body passed from Tower Pier to Festival Pier accompanied by a 19-gun salute from the Royal Artillery, a RAF fly-by of 16 Lightning Fighters courtesy of Fighter Command and most famously the cranes on the South Bank lowered their jibs in respect as his body passed. From Festival Pier his coffin was taken to Waterloo Station where he was taken to Oxford, where he was buried in the family plot at St. Martin’s Church near to were he was born at Blenheim Palace. 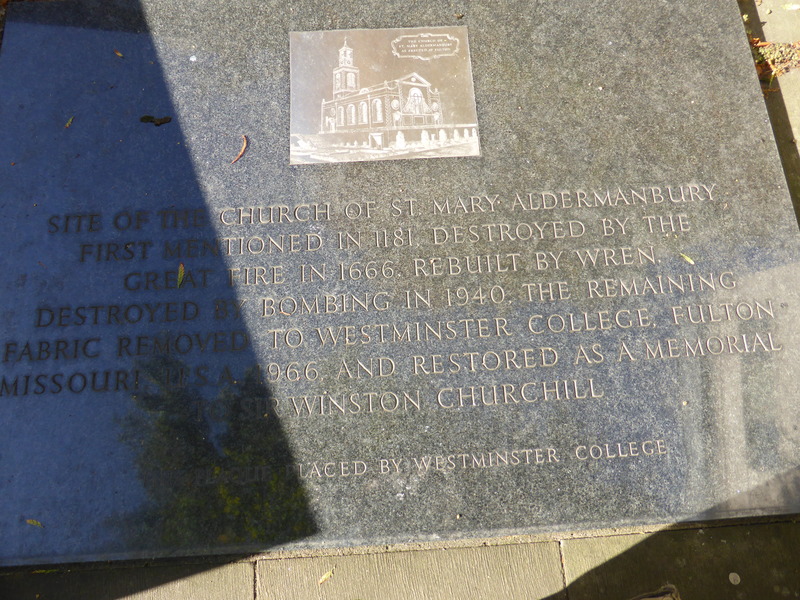 So I thought would post some of the memorials to the man and sites of relevant association to be found in London. 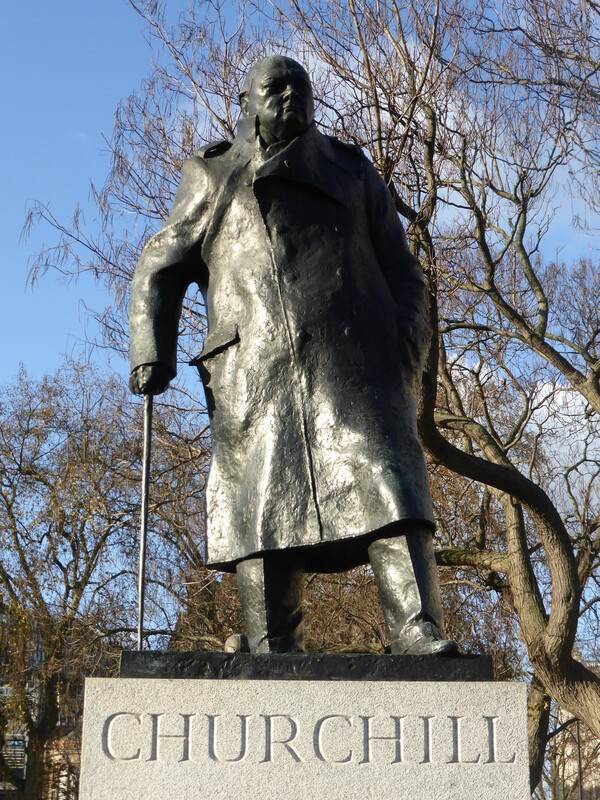 Churchill’s statue in Parliament Square looking towards the Houses of Parliament. 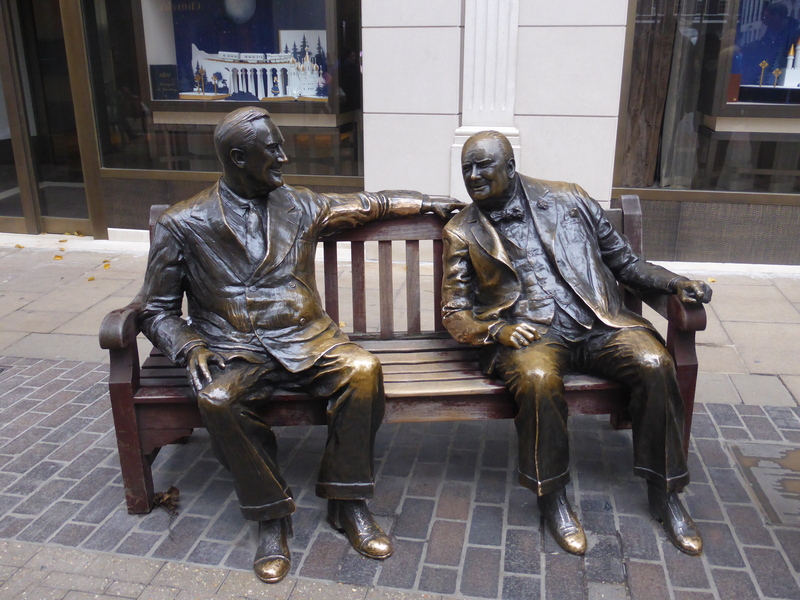 Franklin D Roosevelt and Winston Churchill in the ’50 Years of Peace’ statue on New Bond Street. 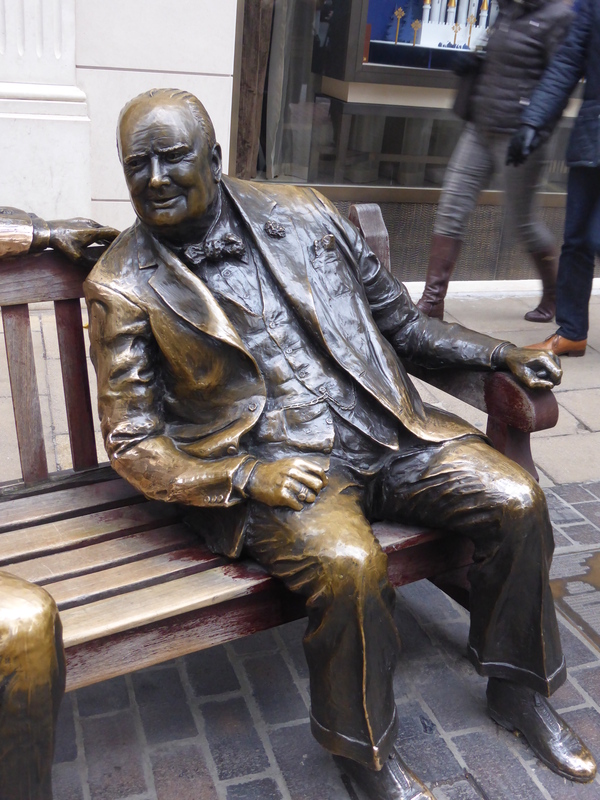 This statue was unveiled on 2 May 1995 as a gift from the members of The Bond Street Association to the City of Westminster and the people of London to commemorate 50 years of peace. 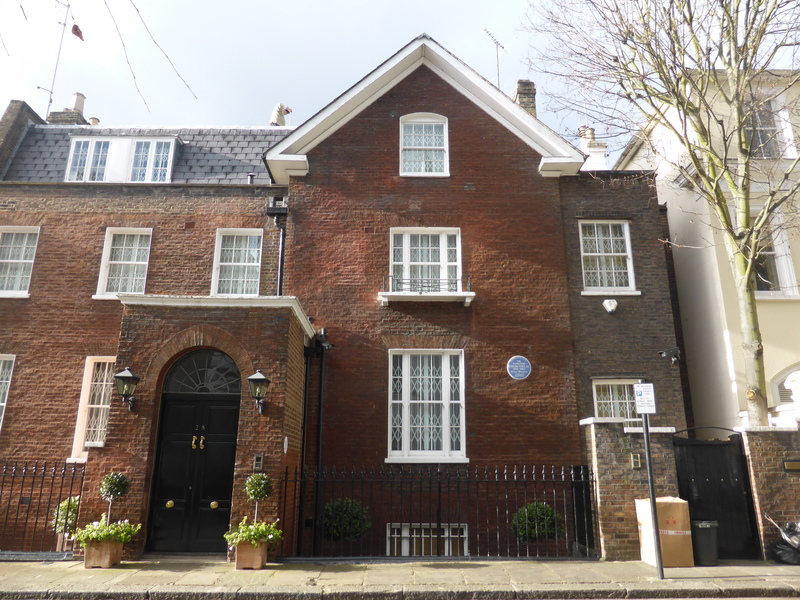 28 Hyde Park Gate where Winston Churchill passed away in 1965. Here I have included some pictures from the Cabinet War Rooms in Whitehall. The underground complex below Whitehall that housed a British Government command centre throughout the Second World War. 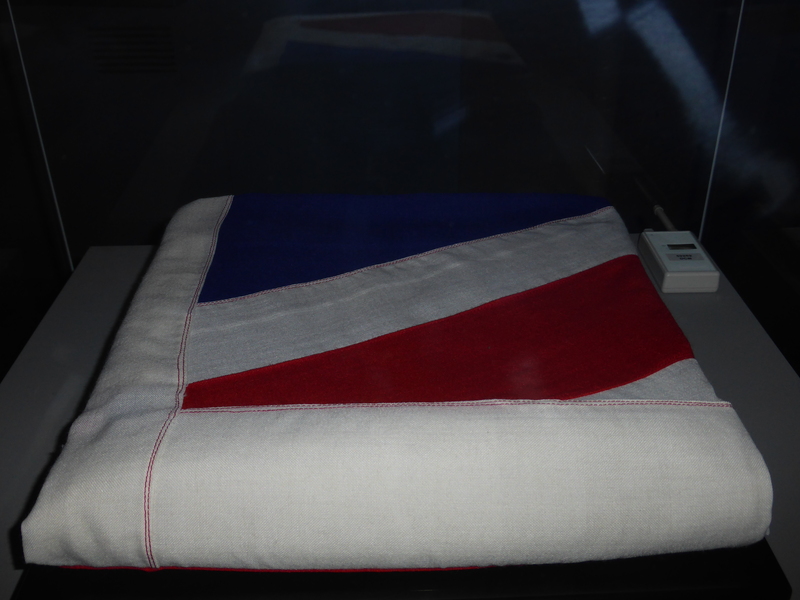 The Union Flag that was draped over his coffin as his body lay in state in Westminster Hall. 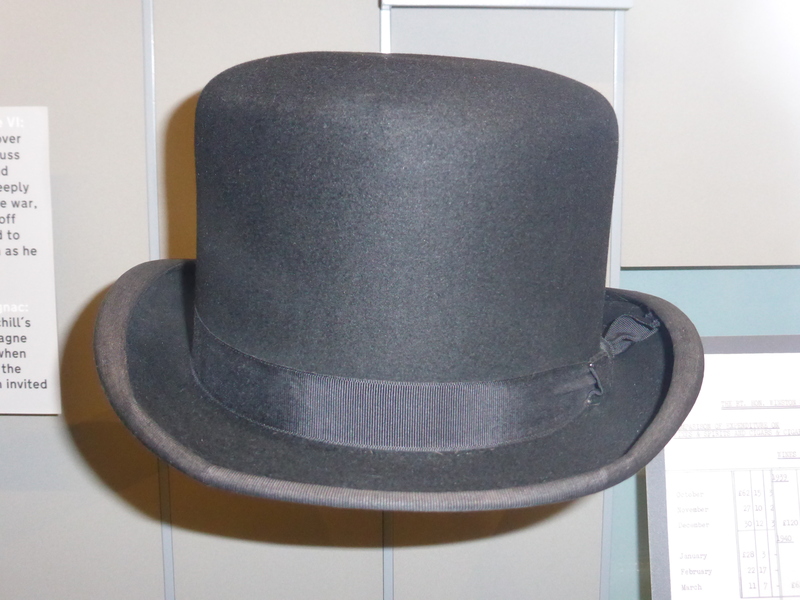 One of Churchill’s trademark ‘Bowker’ hats. 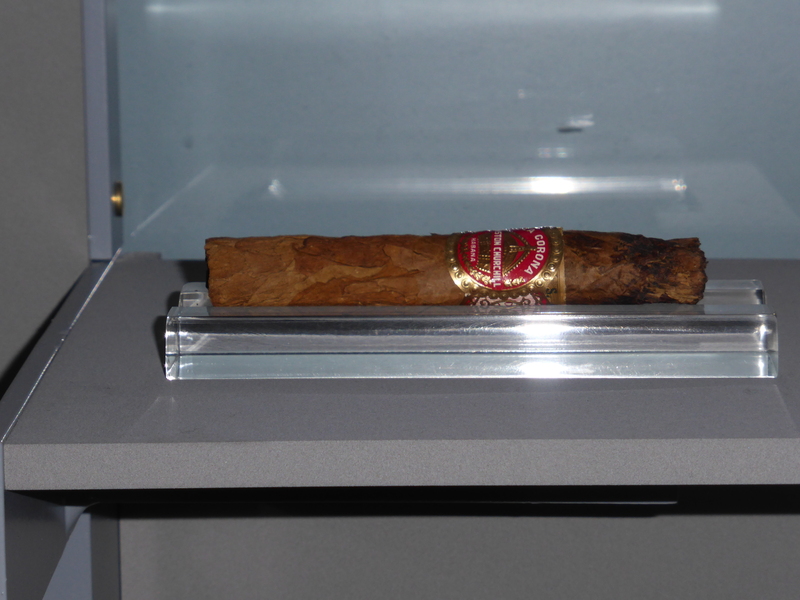 One of Churchill’s Havana cigars. 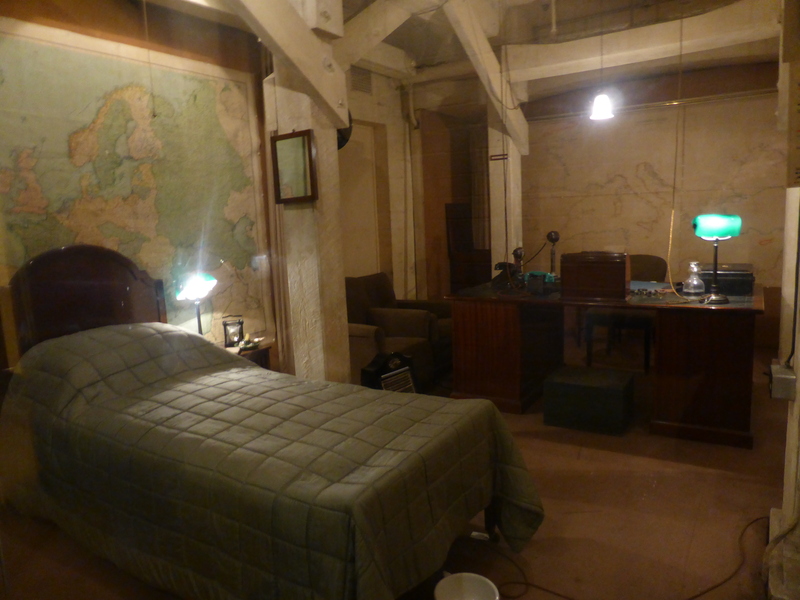 Churchill’s bedroom in the Cabinet War Rooms. He only spent 3 nights here overnight, but was ready for all eventualities.